Arkansas star Joe Nichols headlines Nu Country TV on Saturday September 9 at 9 pm on Channel 31/Digital 44 with a cameo by a hip-hop hombre. Old Crow Medicine Show made their 2009 Australian debut at CMC Rocks The Snowys at Thredbo with Joe and Taylor Swift and return to the program repeated Monday at 8 am. 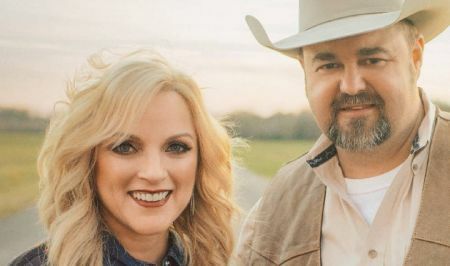 Bluegrass stars Rhonda Vincent, Daryle Singletary and New Town appear in Behind Bars on the show filmed and edited by Laith Graham. 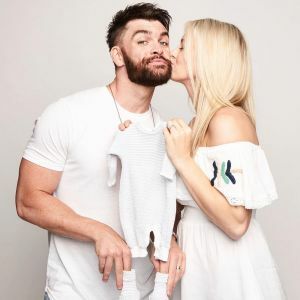 Port Macquarie born singer-songwriter Aleyce Simmonds returns and Louisiana man Dylan Scott debuts with a song penned by expat Novocastrian Morgan Evans. Joe Nichols performs a humorous version of a song made famous by hip hop rapper Sir Mix A Lot. Joe, now 40, was judged by Sir Mix A Lot on his classic Baby Got Back from his 10th album Never Gets Old. Joe wasn't sure the cover of the now-iconic early '90s rap would make his album. “I wouldn't say the song was an afterthought, but it was sort of the last thing we cut for the record,” Nichols revealed. Nichols has been playing the song, revamped with Western swing melody, in his live sets. They laid it down but Nichols didn't believe it would survive on the album released on July 28. “The label's probably gonna go, ‘You guys weren't serious, were you? '” he recalled. Nichols version of Baby Got Back , with guest Darren Knight, aka Southern Momma , closes his 12-track album. He performed it for Sir Mix-a-Lot in the video. Joe says the rapper told him he received calls from friends who attended his shows that Sir Mix A Lot was a big fan of Nichols song The Impossible . “That's pretty great,” Nichols explained. Joe has made three Australian tours including a 2001 Forum gig with Fawkner filly Jasmine Rae. CLICK HERE for a Joe Nichols interview in The Diary on November 18, 2009. Old Crow Medicine Show make the most of time off for good behaviour at decommissioned Tennessee State Prison near Nashville in their humorous video with use of hacksaw blades and disguises for a fast escape. Their characters enjoy a sexual romp in Brushy Mountain Conjugal Trailer from Grammy winning eighth album Remedy. Marty Stuart, Dom Flemons and J P Harris appear as comic characters for the band who debuted at CMC Rocks The Snowys at Thredbo in 2009 and return to the Forum on October 1 with Memphis singer Valerie June to promote new CD/DVD 50 Years Of Bob Dylan . Bandleader Ketch Secor says he was careful not to make light of prison life or its infamous namesake. “ Brushy Mountain is one of those epic prisons,” he revealed. “It's one of the most famous prisons in the South and it just sounds like an imposing place. It's up there with Sing Sing, Alcatraz, Attica. There's a respect that has to be paid when you're going to make your video inside a prison's walls, actually in prison jumpsuits. Country music and prison time share a long history - Johnny Cash's prison concerts and songs by former convicts David Allan Coe and Merle Haggard. 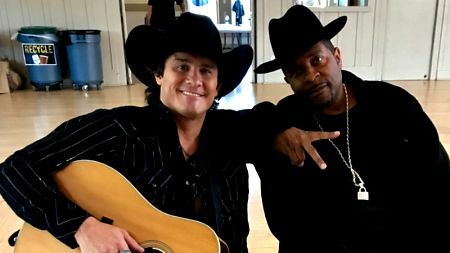 “There's a whole life going on behind bars in the United States, and it's so important that country music jump that fence,” Ketch said. The song isn't about reflecting on mistakes or becoming a better person. It's about a wacky escape plan that seems right out of O Brother, Where Art Thou ? 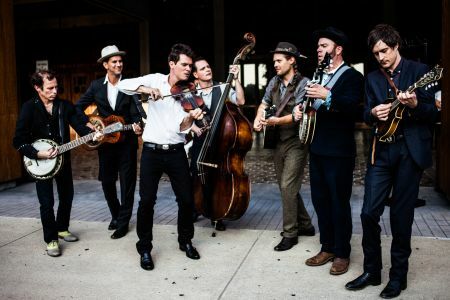 CLICK HERE for Old Crow Medicine Show Remedy CD review in The Diary on April 6, 2015. CLICK HERE for a previous CD review in the Diary on August 14, 2012. Missouri bluegrass queen Rhonda Vincent and Georgian Daryle Singletary return with their live version of Above And Beyond from new Top 5 album American Grandstand . Rhonda, 55, has released 18 solo albums and two duet discs with Singletary and veteran Texan honky tonk hero Gene Watson. Singletary, 46, has also released eight solo albums with humorous hits including I'm Living Up To Her Low Expectations and Jesus And Bartenders. Singletary and Shotgun Willie Nelson, 84, also guest on Rhonda's two-disc set Only Me that combines her love of bluegrass and country. Rhonda also appeared on Nu Country with vocal and video support of singing actor Dolly Parton in her video for Heartbreaker's Alibi from her 12th album All American Bluegrass Girl . She harmonized on three songs on Georgian superstar Alan Jackson's 18th album Freight Train including hit single It's Just That Way . It's one of three Top 5 hits co-written by expatriate Port Douglas singer-songwriter and former Starmaker winner Kylie Sackley. Bluegrass band New Town take us on a trip down that famed Harlan Road in their native Kentucky in Behind Bars. The Tyler Childers penned song is title track of their second album produced by Union Station bass player Barry Bales. 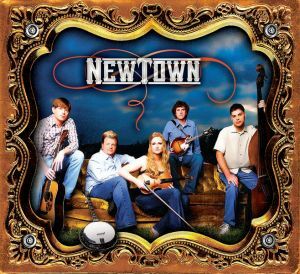 New Town are based in Lexington, Kentucky, and fronted by award-winning vocalist/fiddler Kati Penn Williams and singer/banjo-picker husband, Jr. Williams. The band was formed in 2009 when Jr left bluegrass band New Found Road to play full-time with his wife in what became New Town. Since then it has gained a strong following playing festivals with Rhonda Vincent & the Rage and Doyle Lawson & Quicksilver . New Town has often played the legendary Station Inn in Nashville and twice at showcases at the IBMA's World of Bluegrass in Raleigh, North Carolina. The ensemble also opened shows for John Cowan Band and recorded Harlan Road at studios of its label, Mountain Home Records , in Arden, North Carolina. Port Macquarie born singer-songwriter Aleyce Simmonds gives sweet solace to peers during time travel in Anchor - latest single from her third album More Than Meets The Eye. Anchor was penned about a pivotal relationship that helped erase a bad past and move to a better future. “People enter our lives for different reasons,” Simmonds revealed. “Some stay a while, some come and go. Sometimes the impression that they make far outlives the physical presence. At the time of writing Anchor I was in love and happy. Most of all, I was grateful that my life had been changed for the better and I wanted to put it into song that regardless of the fate of the relationship, I'd be forever thankful for that. Maybe I did that so that I couldn't change my mind and become bitter. Come what may and come whatever, and the wrongs we can't undo. I'll be the blanket at the dawn for you." Six time Golden Guitars finalist Aleyce Simmonds, now 30, wrote previous song Defeated with Wollongong singer-songwriter Jeremy Edwards. "This album is quite a journey because, to be honest, I went from a place of darkness and I found someone who changed my life, I moved into the light, we went through the ups and downs of the relationship and spat out the other side when we broke up and into the darkness again and then finding my way back to Tamworth,” Aleyce revealed. Inspired by personal experiences and her role as hands-on ambassador for Tamworth Family Support Services, Aleyce says the full chorus section was written in a dream. Aleyce also appeared on Nu Country when she honoured her brother, who died 23 years ago as a baby, in her evocative video for Joshua from second album Believe in 2015. “I had feedback from Van Morrison that Joshua was the most heartfelt song that he'd heard in recent times after its showcase on BBC2 in the UK,” said Aleyce after winning three Southern Star indie music awards in Mildura. Louisiana singer-songwriter Dylan Scott, just 26, filmed his live video for new single Hooked at Coyote Joe's night club in Charlotte, North Carolina . It's one of three new tracks on the Deluxe Edition of Dylan Scott's self-titled album released on August 4. Scott first visited Nashville with his dad when he was 15. It was the same year Scott, now 26, met wife Blair who inspired his breakthrough hit and video My Girl. Their wedding was a month before his debut album release. Dylan's father played guitar with country artists Freddy Fender and Freddie Hart, while his great aunt was Emmylou Harris Hot Band ace and producer Tony Brown's piano teacher. Another relative, Marie Jarvis, played piano with the Blackwood Brothers and the Stamps. Scott co-wrote seven of the 13 tunes - it's no surprise they are among the best from entrée Lay It On Me to nostalgic finale Do You Think About Me . Passenger Seat , previous hit Crazy Over Me and fraternal paean Beer Buddies are credible pages from his recent past. So is anthemic My Town , penned by collaborator Matt Alderman. He finds redemption with reflective I Lost You , sensual Rules and Freak Show - an atmospheric and almost psychedelic flashback that crosses genres.